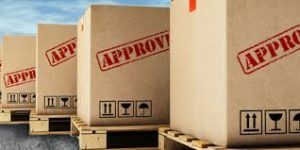 The Australian Customs and Quarantine formalities for the clearance of imports or exports consignments are highly regulated in Australia. The correct preparation and completion of the customs clearance procedures are critical, as heavy penalties may be applied if the correct procedures are not fulfilled . To help protect Australia’s unique environment from unwanted pests and diseases, the Department of Agriculture and Water Resources regulates products imported into Australia. The importation of some products is, by law, subject to certain bio security import conditions. Some products are not permitted entry while other products are only allowed into Australia subject to meeting import conditions that mitigate the bio security risk. This may include a requirement for an import permit. • needs an import permit. It is your responsibility to comply with the Customs & Quarantine import conditions when importing into Australia. As of 9 April 2018, the Quarantine department will no longer facilitate the clearance of conditionally non-prohibited goods that arrive without the required import permit. Therefore goods that require a permit, but arrive without one, including where an application is currently under consideration, will be directed for export from Australian or required to be destroyed in an approved manner. Our clearance services are professional, reliable and competitively priced, we provide Australia wide service. We always ensure the correct customs clearance documentation is completed and the correct importing and exporting procedures followed to maximize prompt cargo deliveries and minimize potential clearance delays. All our clearance brokerage systems are electronically linked to the Australian Customs and Quarantine service and other government departments. Allowing us access to clearance duty rates, duty concessions and other information traditionally stored in numerous volumes of paper binders within an instant. When this is combined with our expert personnel our service is second to none. 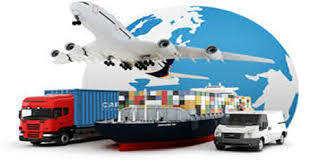 Should you decide to utilize our door to door freight forwarding service we will provide electronic import documents well in advance of your shipment arrival.This allows the processing of the customs and quarantine clearance formalities well in advance of the actual cargo arrival ensuring delay free cargo deliveries.